For over one third of a century, the AIDS pandemic has been a dismal specter for much of the world, claiming at least 22 million lives – perhaps a great deal more before it was formally classified in 1982. Another 36.1 million people are forced to live with stages of the disease on a daily basis. At the beginning of the twenty-first century, experts suspected that advances in anti-retroviral and genetic therapy, such as a synthetic protein that signals the virus to destroy its own molecules, might lead to eradication of the disease by 2050. For the first time in many years, the goal of eradication now seems like it might be somewhere within reason, as scientists at the Scripps Research Institute have announced the development of a new vaccine. HIV, the virus responsible for AIDS, has proven malleable enough to withstand over 30 years of research. While the majority of vaccines in existence rely on weakened viruses that a patient’s immune system uses to build a defense, even a weaker format of HIV-1 could potentially replicate itself. A traditional vaccine against HIV could potentially cause the disease it was designed to prevent. The effort involved researchers from over a dozen institutions and backed by the National Institute of Allergy and Infectious Diseases. They published their research online Wednesday in the journal Nature, ahead of the print edition. HIV-1 has a less virulent cousin HIV-2, rare outside of Africa, which doesn’t always lead to AIDS. The new vaccine however has been proven effective in blocking both as well as SIV (simian immunodeficiency virus), a monkey-borne illness that is the closest link between species for the virus. The vaccine was even tried against higher concentrations of the viruses than occur in human or primate hosts, and has been shown to be effective for at least eight months following an injection. Rather than provoke the body into developing antibodies, the new vaccine stimulates the muscle into developing a new type of protein which blocks viruses from entering cells. They act like antibodies, only with heads and tails that act as spikes against the viral receptors. When HIV enters the body, it specifically targets the CD4 lymphocyte, a type of T cell which is pivotal for the body’s immune system. After successfully attaching to the cell, each virus then shares its own genetic material — a ribbon of single-stranded RNA which interacts with the cell’s DNA and turns it into an assembly plant for HIV. The new study is actually the latest in a long line of discoveries made by Farzan’s laboratory, one of which revealed the presence of a co-receptor on human cells known as CCR5, which contains a specific weakness that allow it to act as a gateway for the virus. The placement of a protein over this gateway could potentially avert any infections from HIV. In response, Farzan’s team created a protein which targets two sites on the virus’ surface, both at the same time, which prevents it from using the cell to replicate. 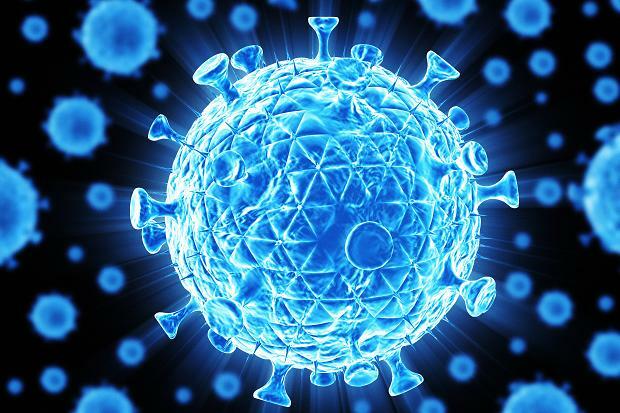 In order to conduct the study, the team “built” a virus of their own, a very small adeno-associated virus that interacts with cells in a similar way to HIV, but harmless and causing no disease symptoms to the patients who were injected with it. Once the patients were injected with the trial vaccine, their cells quickly began to replicate the head and tail proteins, manufacturing enough of them to last for potentially decades, according to Farzan in a press release. The new candidate binds more effectively to the virus than most biological antibodies, and was equally effective at preventing SIV in the macaques who were also modeled in the study. Farzan’s work on the CCR5 gateway was largely ignored, but he hopes that this new vaccine will help others realize the importance of stopping infections at the gate.